Rudolfinum is the neo-Renaissance building located in the Old Town Alšovo Embankment. It is a multipurpose cultural facility with a concert hall and exhibition halls, which is now the seat of the Czech Philharmonic Orchestra and the Rudolfinum Gallery. The Czech Savings Bank had it built on the occasion of the 50th anniversary of its foundation. It was named after the heir to the throne, Archduke Rudolf of Hapsburg, and opened in 1885. The prominent duo Josef Zítek and Josef Schulz were chosen as architects. 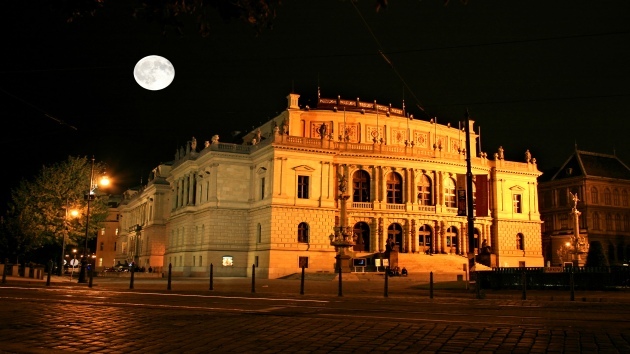 Today, Rudolfinum houses several concert halls – Dvořák Hall and two small concert halls, Suk Hall and Kubelíkova Hall. The last complete renovation took place in 1990 and 1992. Dvořák Hall hosts major concerts, for example within the scope of Prague Spring Festival. The entire construction cost 2,000,000 guldens. It is unique in that it was the first modern multi-purpose building in Prague.